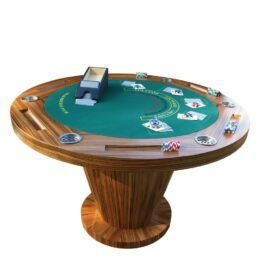 Multi Game tables have never been more luxurious than our eight game table. 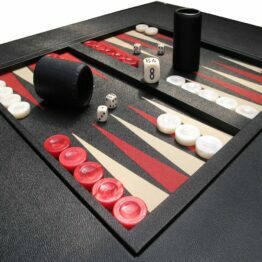 Custom built to order, these professional items of luxury furniture contain the following games as standard. 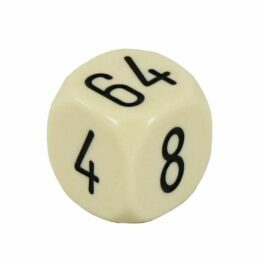 (extras can always be added). 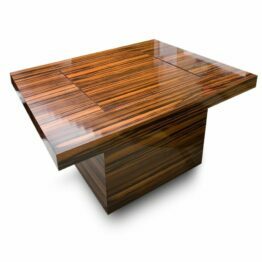 Available in multiple veneers; American Walnut, Macassar Ebony, Fumed Eucalyptus, Burr Oak, Burr Camphor & Figured Sycamore. 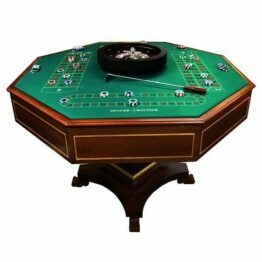 For those who love gaming; our luxury 8 game table is packed full of all our classic games. 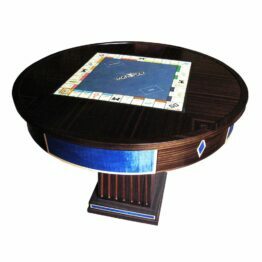 Games tables don’t have to be confined to a games room. 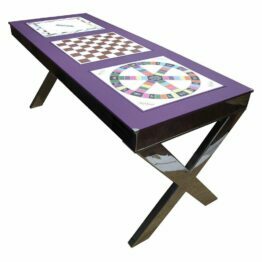 Our luxury games tables can be placed in a living room, study or orangery, enabling the whole family to sit around and play. 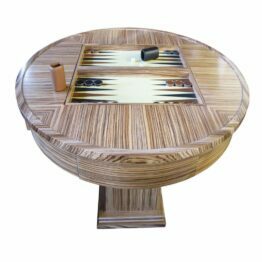 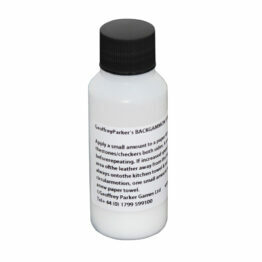 When you order a product from Geoffrey Parker, it’s never usually off the shelf; this means you have the opportunity to specify what you really want. 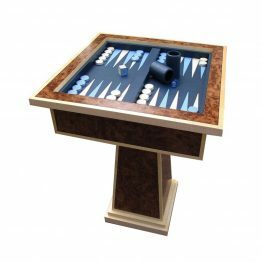 Our games tables all come in a range of finishes and designs but if there’s something you’d like in particular we can work with you to design & quote it accordingly. 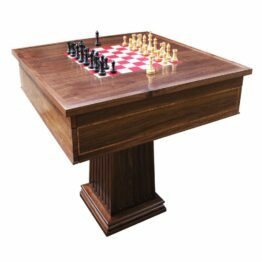 If you love our 8 games, game table but aren’t sure on the American Walnut finish; why not swap it for a Macassar Ebony and add in a customised monopoly while you’re at it? 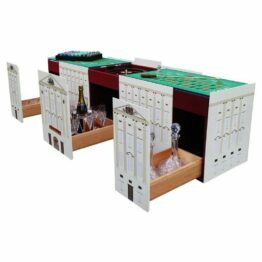 Handmade to order, approximately 3 to 4 months.